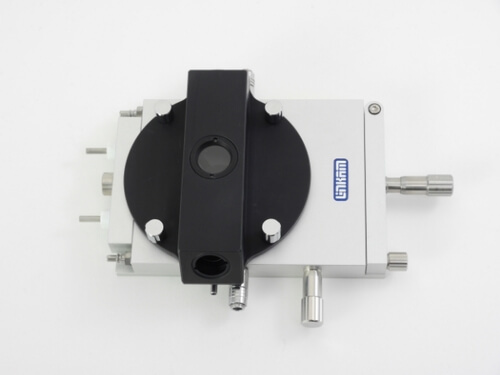 The THMS600 is one of the most widely used heating stages on the market, and has now been modified with a special optical adapter to facilitate use on an ellipsometer. Samples can be quickly characterized by heating to within a few degrees of the required temperature at a rate of up to 150°C/min with no overshoot, then slowed down to a few tenths of a degrees per minute to closely examine sample changes. The THMSEL600 has a temperature range of -196°C to 600°C.